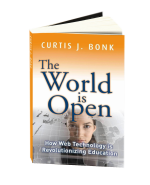 This is the blog of Dr. Curt Bonk, Professor at Indiana University and President of CourseShare, LLC. This blog post has taken me nearly two weeks to post and it can never be satisfactorily done...though I try. Hard to place my emotions into words. People who you have studied with, collaborated with, thought with, and shared meals with can never be replaced. I am not the only one struggling...I read a blog post from my friend Ellen Wagner who is also struggling. 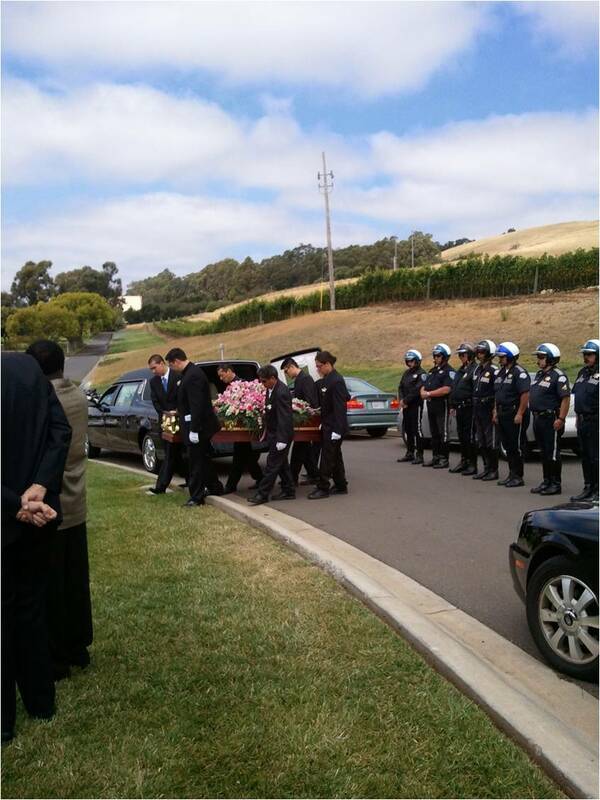 People at San Francisco State University has posted a highly informative tribute to Kim. I mention others who are struggling in the text below. Why are we struggling? 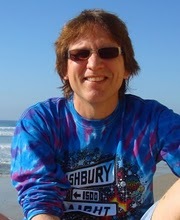 Well, late on the afternoon of August 10th, I found out from my former student, Dr. Brian Beatty, that my always smiling friend and “big sister” Dr. Kim Foreman, Professor at San Fran State University passed away unexpectedly in Rwanda a week earlier. 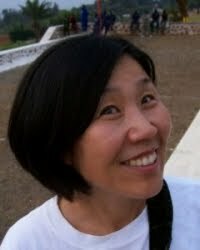 Kim is originally from Korea where she taught English in the mid 1970s (according to her blog, Kim's first paycheck was for $100). A decade later, she was a grad school colleague of mine at Wisconsin starting in 1986. In fact, I looked up to her since she was the first one from our group in educational technology to get a professor position (I was an educational psychology major but an ed tech minor). After leaving Wisconsin, Kim was dept chair for a long time at San Fran State. Though to the external world she was a university professor, she was also a splendid writer and poet. 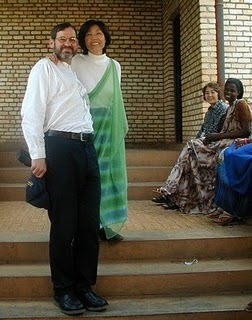 Kim in Rwanda in 2002. 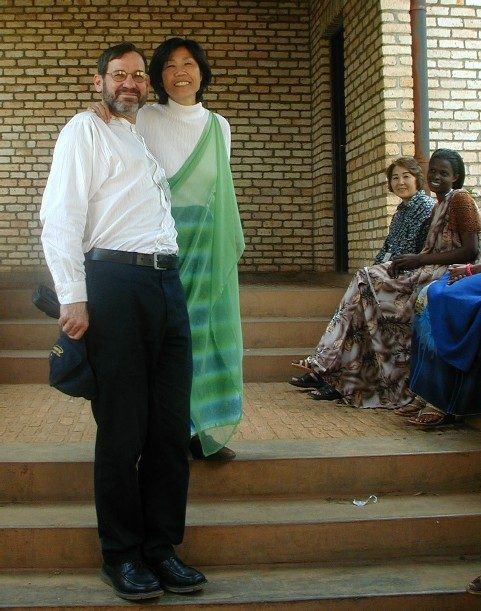 Kim in Uganda in 2003. Chris and Kim Foreman at a lunch break. Suffice to say, August 10th was not a very happy day. I soon had to pass the message of her passing on to my close friends and classmates from grad school in Madison (among them were Drs. 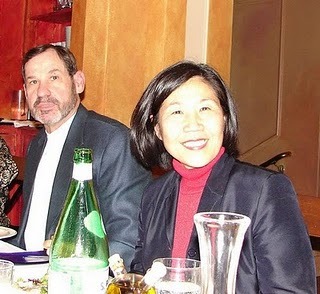 Tom Reynolds, Miheon Jo, Okhwa Lee, and Veronica Acosta), who also had known her for 25 years (Tom is now at National University in San Diego though he has been on a Fulbright scholarship in Columbia lately, Miheon is at Chongju National University of Education in Korea, Okhwa is at Chungbuk University in Cheongju City in Korea, and Veronica is at Cal State Long Beach). Like Kim, we all ended up teaching in higher education settings. As I said, she was the first. Reflections on Grad School Days in Madison: To ready ourselves for such positions, we had all taken courses together on the critical analysis of instructional technology and instructional design with Dr. Michael Streibel (one of the smartest people on he planet...who I might add is still there). We all looked forward to his highly thought-provoking classes. His classes took us far deeper than the ideas in the books that he had assigned. We all had a deep respect for Michael (i.e., "Dr. Streibel" back then) and were intrigued by the direction he would take his classes each week. Without a doubt, he greatly influenced Kim and the rest of us. And I am sure he appreciated the talent that huddled around in his classrooms back in the late 80s that tried to live up to his standards. We also took a seminar class each semester with Dr. Vere DeVault (for 2 credits if you presented your research work and for 1 credit if you just listened and read and reflected on what others said). Vere was just about to retire at the time so he offered us plenty of sage advice about both new technologies and ones from decades past that offered similar optimism for changes in education. Tom and I took his seminar for 1 credit the first semester and just listened to more senior people like Kim present. It was fantastic. The students he gathered up there on the top floor of the Teacher Education (curriculum and instruction) building there near the corner of Mills and Johnson in Madison were amazing. And Kim was at the top of the group. Over in educational psychology in the Educational Sciences Building, we took similar classes with another brilliant professor by the name of Dr. Richard Lehrer (who is now at Vanderbilt University). Ed psych was my major and ed tech was my minor, so like many of us, I divided my time between buildings. We all bonded in such classes. We sorta had to--we were stuck (i.e., frozen together) in those Madison winters. In fact, my first 2 weeks in graduate school that January was an extremely frigid time (when a minus 20 or 30 degree cold snap hit). And, keep in mind, that was after a couple of record setting blizzards at the end of 1985 just as I was moving from Milwaukee to Madison. Ouch! We were indeed frozen together. We all sat close to each other in class just to warm up! And when walking the hallways on January 28th of that month, we were watching the TV monitors overhead with replays of the explosion of the Space Shuttle Challenger...over an over and over. It was in night class with Rich (Ed Psych 890 class on on Computer-Based Instructional Systems) that I met Tom and Okhwa. I remember the conversations we carried with us down Mills Street to our cars. Standing there freezing to death but so excited by what Rich had to say or what he did that night that we did not want to go home. God it was cold! But Rich's Seymour Papert imitations were highly engaging; especially to a former accountant. A month or so later (when the temperatures heated up to 10 or 15 degrees), Rich had Okhwa Lee present their research on Logo as she was about to head back to a job in Korea. Her talk was stunning in many ways--Okhwa was extremely smart, beautiful, and interesting to listen to, and, on top of that, she had great data to present. Like Kim, Okhwa was just about done so she could also mentor newbees like me. At the time, I was sure glad I had quit my job as an accountant and CPA a couple of months earlier in Milwaukee and then took that class with Rich....the class was great but more importantly, I found some lifelong friends. Tom and Okhwa told me about people over in the ed tech program like Kim and Veronica whom I would later meet. 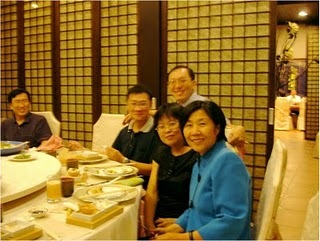 And we (Tom, Okhwa, Kim, Veronica, Miheon, and others) have remained in contact for the past 25 years. Friends for life! A picture of Tom, Okhwa, and Veronica from 3 years ago in LA is below (they tried very hard to get me to fly out and Kim to come down for a reunion, but Kim and I did not make it). At first, I could not believe that it was true. Nor could they. Gosh I just could not send the email and finally I had to. 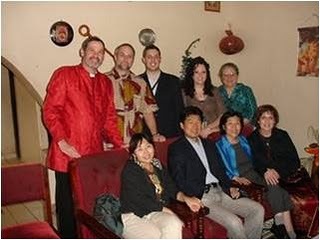 A picture of Kim and Miheon Jo from 2 years ago during Miheon's sabbatical in the San Francisco area is below. Trip to San Fran in April 2008: At that time, my son Alex (who is Korean by birth) and I flew out to San Francisco during spring break and to visit organizations that I was talking about in my World is Open book (places like Wikipedia and Scribd). We had a chance to have dinner with Kim and Miheon and others (this time, Tom and Okhwa did not make it...that grand reunion never happened). E-Learn Conference November 2008: Tom, Veronica, Okhwa, and I got together at the E-learn conference in Las Vegas in November 2008 but Miheon and Kim were not there. So many chances for a UW grad school reunion party. Kim Foreman recently visited her homeland of Korea wth her husband Chris (in late May and early June). However, Miheon and Kim did not get a chance to meet. According to Miheon, Kim promised to see her "next time;" however, now there will not be that chance. She told me the same thing in April when we did not meet. 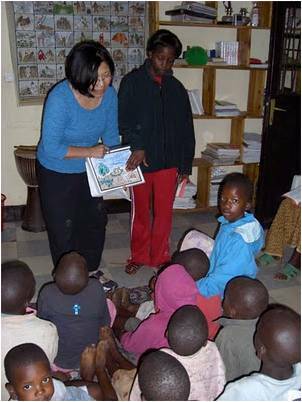 More on Kim Foreman and Her Work in Africa: The news we all read was that Kim died in a car accident in Rwanda. Apparently, she was thrown from a car and spent 3-4 days in a coma. Kim passed away on August 3, 2010 without having woken up from it. Like many times before, Kim and her husband, Chris Foreman, were doing missionary work there. Symposium at SFSU in April 2006 (During AERA) and Our Recent Collaborations: Kim and I had gotten to be close friends the past few years. In fact, I spoke in her classes 3 of the past 4 years (live and via videoconferencing). Our Web 2.0 classes collaborated together 2 years ago on their blog postings and Web 2.0 ideas and other things. I really liked her students out there in San Francisco and her classes, but more importantly, these collaborations gave me a chance to get to know her better as a scholar and a friend. Kim shared with me many technology tools that I had not heard of before as well as ideas for using them. And she also used ones I knew about like Google Sites (Kim's ITEC 712 class), Ning (Kim's ETIC 712 class), Wikispaces, Wikibooks, Pageflakes, etc. Yes, her students were fantastic. They adored her teaching--she was devoted to it. Here is a picture after a special session on blended learning that Kim arranged at San Fran State in April 2006 during the AERA (American Educational Research Association) conference. People like Jay Cross from Berkeley (from "Internet Time" blog, unconferencing, e-learning (he helped coin the word), and informal learning fame) and Dr. Bob Reiser from Florida State University presented as did I. Dr. Ke Zhang from Wayne State who did the Empowering Online Learning (R2D2) book with me was als...in fact, there as were perhaps 120 others. The room was packed...standing room only. Dr. John Stepheson from Middlesex Univeristy in the UK was there (John is now retired to Bathe) as was Ron Owston from York University in Toronto, Sarah Haavind from Leslie College, Bronwyn Stuckey from Australia, my very great pal Peter Young from Pacifica, and many others. And it was Kim who planned it all. As I said, Dr. John Stephenson from Bathe in the UK made it. Recent Times: As indicated above, during the past couple of years, Kim would often call herself my “big sister” and introduced me as that to her students. That always made me feel welcome. She had a magnetic presence with that smile of hers and extremely warm personality--so kind, so kind, so kind. I am sure that the kids in Rwanda felt it too. I never had the courage to go to Africa and preferred reading about it in her blog. 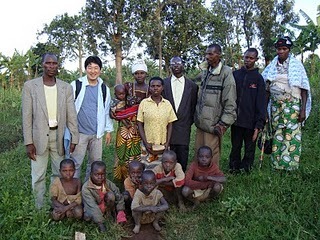 However, my good friend Paul Kim from Stanford went with Kim and her husband to Rwanda last year. Paul told me it was a quite moving experience. 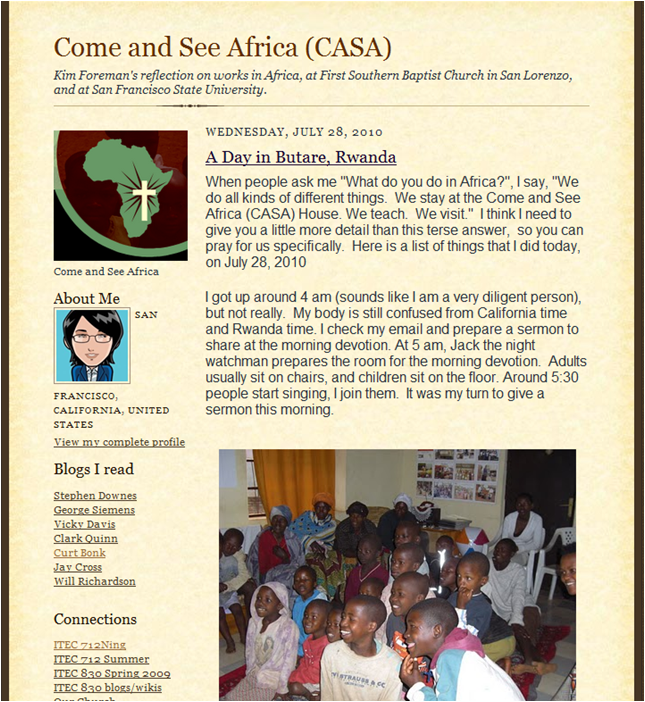 Paul, in fact, is heading back to Rwanda for a trip as I type up this blog post. He is definitely going to have to deal with a strange situation when he arrives. The last time I saw Kim Foreman was April 2009 when she joined me and several other friends (e.g., Paul Kim, Peter Young and his wife Janice, YaTing Teng, and Wen Hao Chuang and his wife Judy, etc.) for dinner at an Asian fushion type of restaurant in Milbrae near the San Fran airport. That is a wonderful memory now--she showed us all pictures of her grandson...she was so proud! Since then, we talked on the phone or via email many times. Unfortunately, I did not get to see her during my trip in April 2010 to downtown San Francisco for the ISPI conference. I also did a talk at Stanford (which she tried to attend but had an unexpected appointment). When I got home, I sent her some goodies I had planned to give her in SF and she sent a quick and wonderful thank you via email on May 1, 2010. It was my last personal note from Kim. I did geta couple of generic emails last month that she sent to many of her friends while in Africa recommending I read her "Come and See Africa" blog. Hearing about my “big sister” passing away is I think harder than when my father died since that was more expected. A very sad day. Brian Beatty (a former student of mine who recently got tenure at San Fran State and who took over as department chair after Kim stepped down) told me that there is a Facebook account set up for Kim Foreman. He also sent me the link for the obituary which appeared last Friday the 13th of August in San Fran Chronicle (with a wonderful picture). Below is a slightly longer version of it. 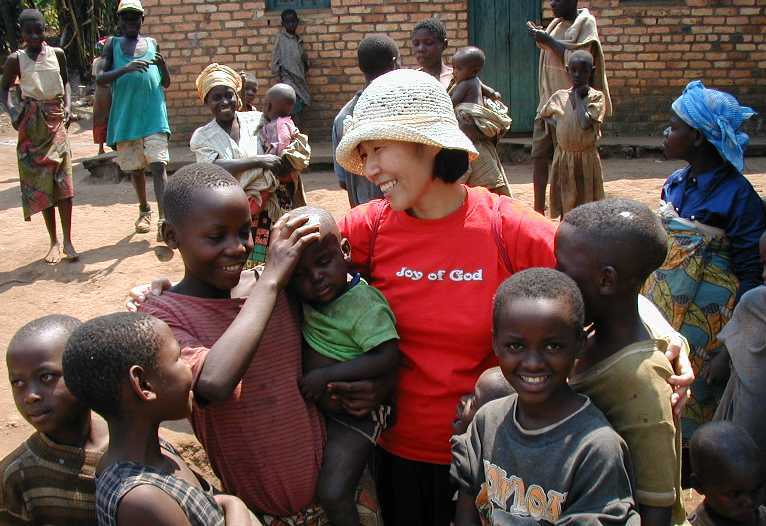 Dr. Kim Hyun Deok Foreman, Professor at San Francisco State University, pastor’s wife and missionary to Rwanda passed away Wednesday after an auto accident near the town of Gitarama, Rwanda. She was 59. 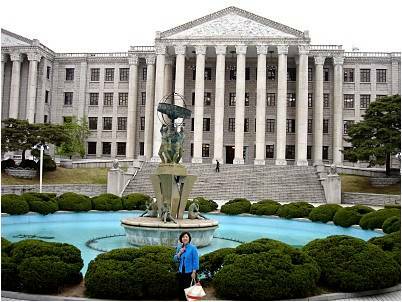 Dr. Foreman was born near Soon-Chun, South Korea on February 20, 1951 to Seong C. Lee and Youngwoo Kim. Her mother was a refugee from the communist north and her father was an educator in the south. She moved to Seoul as a young girl, helping to support her brothers and sisters while going to school. After graduating from Kyung Hee University in 1973 with a degree in English/Secondary Education her first job as an English teacher was in Jechun. 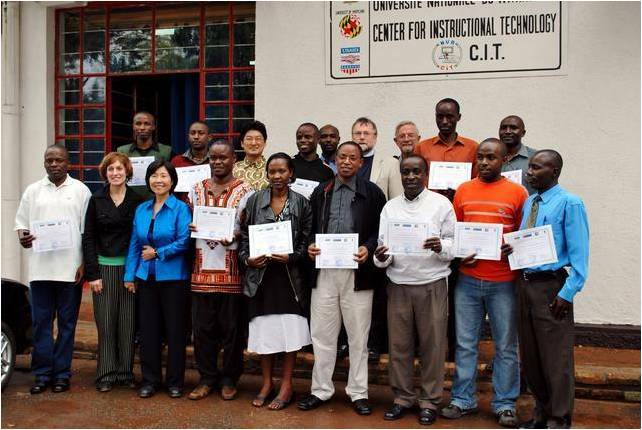 Kim entered a teacher-training program, taught by a Peace Corps volunteer named Chris Foreman. After a brief engagement of one month, they were married on March 23, 1974 in Seoul. After honeymooning in Jeju Island, they moved to Longview, Washington. Dr. Foreman’s first son, Zachary, was born in 1975 and her second son, Simon Peter was born in 1977. As the wife of an Army officer, she lived with her family in Georgia, Missouri, Oregon and Wisconsin, finally settling in Marin County, California in 1988. Valley and the Martin Luther King Scholarship. Dr. Foreman was a lifelong Christian, active in the Assemblies of God and Southern Baptist churches. Her first mission to Africa was in 1998, and this was such a blessing that she returned with her husband in 2001. 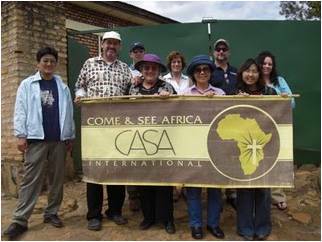 Dr. Foreman and her husband returned several more times before, in 2005, leading their own mission-- Come & See Africa International. 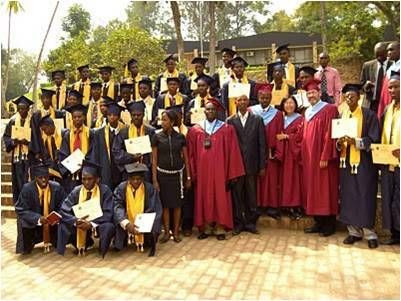 They broke ground on a center that will promote Christian education for the students of the University of Rwanda in Butare in June 2008. On July 19th she began her 10th mission to Rwanda. On July 31st on her way to Kigali from Butare, she was involved in an auto accident where she was thrown from the vehicle unconscious and was quickly rushed four miles to the local hospital in Kabgayi. From there she was transported to King Faisal Hospital in Kigali, where she was treated in the intensive care unit. She passed away peacefully on August 3rd, never having regained consciousness. A memorial service was held for her in Kigali on August 7th with hundreds in attendance, among them the American Ambassador to Rwanda. 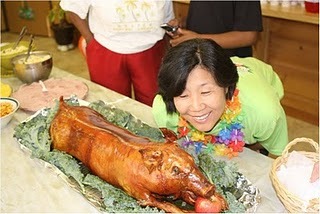 She is survived by her husband, Dr. Chris A. Foreman, pastor of The First Southern Baptist Church of San Lorenzo; her son, Zachary Foreman, doctoral student and teaching fellow at Catholic University of America in Washington DC; Simon Peter Foreman, artist, daugher-in-law Dilia Marquez Foreman and adored grandson, Hugo Lorenzo Oron Foreman. She is also survived by three sisters: Hyunok King of Virginia, Hyunhee Ko and Pamela Kim of Oregon and two brothers: Injung Kim of Washington and Kyunam Kim of Oregon. Dr. Foreman is also survived by numerous nieces and nephews and will be greatly missed by her local church community as well as the church community in Africa. Funeral services will be held in Palma Ceia Baptist Church, 28605 Ruus Road, Hayward, California on Saturday, August 14th at 9 am followed by a grave-side service at Holy Sepulchre Cemetery, 1051 Harder Road Hayward CA. 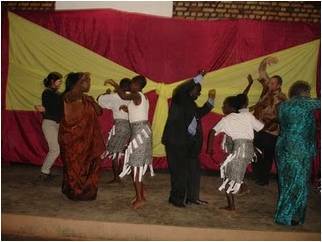 In lieu of flowers, send donations to the First Southern Baptist Church of San Lorenzo, 15503 Usher St., San Lorenzo, CA 94580 to support the construction of the center in Butare, Rwanda. Please designate on your contribution “The Kim Foreman Bible Institute”. Student Newspaper: On September 1, 2010, the Golden Gate Press, which is the SFSU student newspaper, posted an article on Kim, "Professor passes during Rwanda trip" by Tom Garcia. I am sure more news will keep coming in. Some Final Reflections: I miss you my big sister, Kim! We all miss you. Tom, Okhwa, Veronica, Miheon, and everyone else misses you. In addition, to your grad school friends, so many other people have sent me emails about you Kim--Paul Kim, Mei-Yan Lu from San Jose State, Jay Cross, Michael Streibal, Peter Young, Paul Byun, Eunjung Kim, Ke Zhang, Brian Beatty, Wen-Hao Chuang, Richard Lehrer, Sarah Haavind, Ellen Wagner, Stephanie Wong, Insung Jung, Bob Reiser, KJ Kim, Nari Kim, Jung Won Hur, and many others. I truly wish we could insert you into the picture below and the many more pictures to be taken in the years to come; sure you and I know that there is Photoshop but that would not be the same without you. I hope some of the people reading this can support Kim's work. See above for an address. 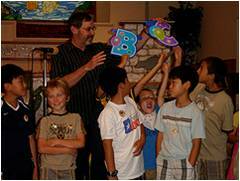 Brian Beatty sent me an email reminder that, "anything sent to the Foreman family in care of First Southern Baptist Church of San Lorenzo, 15503 Usher St., San Lorenzo, CA 94580 will get to them. Chris Foreman (Kim's husband) is one of the pastors at that church." Again, please designate your contribution, "The Kim Foreman Bible Institute." Alternatively, some might simply remember Kim by reading her blog. And you might reread it a year or two or three from now and then recommend it to others. You might read some of the wonderful poems she has posted there. Or you might start a blog of your own on place or culture where you are interested in helping out. 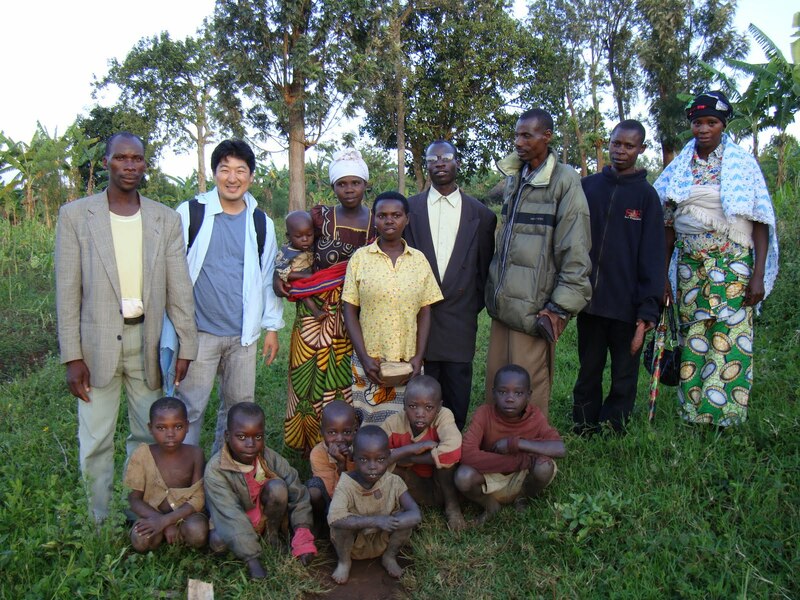 Comments from Others: Dr. Paul Byun (a former student at IU and now a professor in Korea) reminded me this morning that she she was doing the missionary work and had "lived a best life she could have wanted" and he is right. A life of intensive study and teaching and reflection and leading and writing and experimenting with technology innovation and helping others to learn and become literate and come to understand Christianity. It was quite a life indeed. Happy for you Kim while I am sad at the same time. 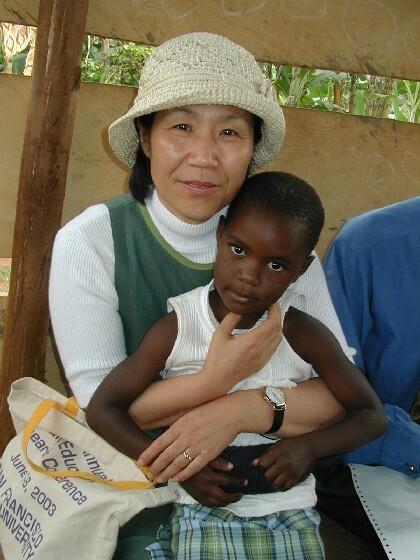 Another former student, Dr. Wen-Hao Chuang, who worked at SFSU with Kim, reminded me that Kim did not have to go to Africa "and risk her life over there, but she did it anyway out of selfless love. She could be sitting in her comfortable condo enjoying her wonderful professor life with her sabbatical, but she didn't. Instead, she chose to fly over 30 hours to go to Africa, and woke up 4am in the morning to prepare for morning devotion, missionary work, and so on." He is right. Wen also hopes to go there someday. He sent me a link to an online video on Rwanda and one of the buildings that apparently Chris and Kim were helping to build there. He asked me to post it in my blog and so I am. I watched it--informative and upbeat. When also said it is his birthday today (August 24th) when I am adding this section to my blog post. He added that a year ago, Chris sent him an email with additional information about their mission/trip there. It included the following accomplishments. (3) Taught National University students in "Money Matters" and "World Religions". (4) Hosted a luncheon for local pastors and an evening meal for Evangelical Student Leaders. (10) Began laying the foundation stones for the LightHouse ~ a resource and refuge for university students and a light of hope for the entire community." More Pictures and Videos from Africa: It is amazing what Chris and Kim have been able to accomplish in Africa. Wen added that many more videos and pictures from the Come and See Africa (CASA) project have been posted. Exploring the SFSU Campus and Kim's Office: Here are some of the memories of my trips to San Fran the past few years...many with my son Alex. Brian Beatty and Kim showed Alex and I around the SFSU campus 5 years ago this month (Auguat 2005). Can it be that long ago? As the pictures below reveal, SFSU is a great place to end up. Alex looked at the scenery and wondered whether he could make their soccer team. But he ended up at IU instead. Brian Beatty took us around campus. Bob Reiser from Florida State and Brian Beatty from SFSU at dinner about the 2006 symposium Kim and I arranged. Kim Foreman and Paul Kim from Stanford and Wen-Hao Chuang from SFSU at dinner in April 2009 which was the last time I saw her. Dinner in April 2008 near the bay. Great restaurant and views. 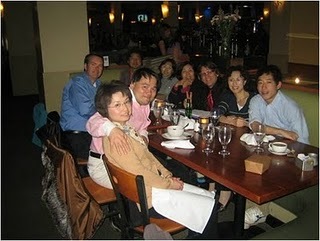 Kim, Miheon Jo, and I at that April 2008 dinner; some 22+ years after we first met. 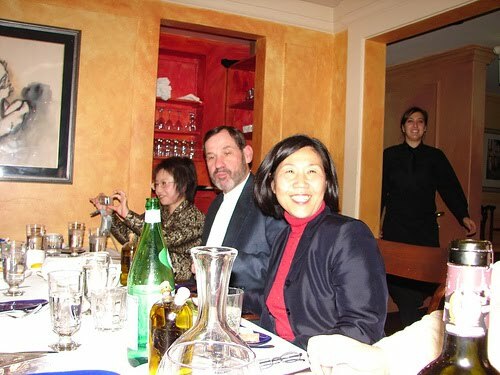 Here are the two pics I took of Chris and Kim at dinner in early January 2006 in downtown San Francisco. Please remember Kim in your hearts. And try to make a difference in the world as shown by people like Kim and her husband Chris Foreman. Goodbye big sister. Very touching story, Curt! I hope good people will always be remembered! I hope so too Katrina. Thanks. Lots of Madison memories. Now you can make some of your own. A very moving and emotional post and a tribute to someone I never met, but who clearly worked to make this world a better place. Time to take a walk, reflect and consider what is truly important in ones life and work. 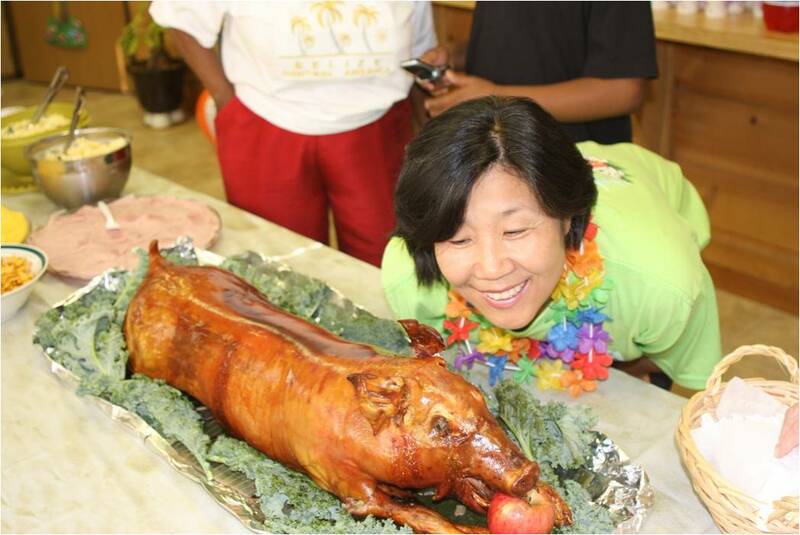 My sincere condolences to all who knew, worked and loved Dr. Kim. Thanks Mark! Enjoy the walk...we all need such walks each day. Curt, only you could have put together such a wonderfully socially networked tribute to a friend. What a grace and a blessing for your friends, avid readers and colleagues. Although I did not know Kim personally, I know we met at that session you mention on blended learning at San Fran State in April 2006 during the AERA. That was quite a memorable event, for me and probably most in the room. She's so familiar, I wonder if our paths did not cross at other times as well. You would know. Meanwhile, your reflections make me feel the loss of a very special contributor to our work and field of elearning. Thank you for always sharing so much with the rest of us. Thanks Sarah. Yes, that night in San Fran was memorable. After that, Kim and I started to connect our classes more. I am sure we would have tried something this fall with my Web 2.0 (World is Open) class had this not happened. As I said, we will miss her. It took me a while to recollect ever meeting with Dr. Kim Foreman when hearing the sad news from you in the beginning. Seeing me sitting there in the same room with Dr. Kim Foreman... seeing Tom, Alex, and other familiar faces and names...Life could be so fragile! Thank you for putting together a precious piece as such. Thanks Shufang. Always best to see your face to make the connection, isn't it? Thanks for sharing your memories with us, Curt. We've all been deeply saddened with the loss of our friend and colleague. In the office, we miss her optimism and smile most of all. In her classes, her students miss her heart most of all - she deeply cared for them as a true teacher, mentor and friend. She was living her calling, and was honestly doing what she loved. Reflecting on her life has helped many of us reflect on our own, in fact. For me, I'm seeing clearer that each day is precious, and each person I come into contact with is precious in some way, too. As I attempt to live that out daily, I take Kim's legacy with me. The pictures and stories are wonderful, Curt. Thank you for sharing them. So great to hear your stories and share your memories of Kim. Thanks for your contributions Ellen and Brian and everyone else the past few days. I am discovering more pictures of Kim and posting a few as well as some quotes from people and links to her homepage. This blog post keep expanding thanks to all of you. Thanks for these memories. This is a part of my mom's life that I never knew, made more poignant by the fact that I am currently in the latter stages of my own graduate school journey. It's nice to know how often paths cross in the global academic community. I am happy you could something about your mother's life...wonderful friend and person that she was. Grad school is hard but fun! Good luck pursuing it. I am still in shock… I did not have many opportunities to get to know her personally but I remember her big smile and sincerity towards people and work. She will be greatly missed. Thanks Eun-Ok. Thinking of you. I just learned about Dr. Foreman's passing today as I was checking the ITEC dept. I felt so depressed that I only found out today. I graduated from ITEC May 2009 and Dr. Foreman was my mentor and adviser during my whole ITEC masteral program. I would have not made it without her. I was even planning to go with her in Rwanda. Until now, I cannot believe that she passed away. I will be offering Mass for her in American Canyon where I am currently working. Thanks Anthony. Yes it is very hard for me to believe as well. She was a highly caring and unique person. Glad you found the post. I'm so happy to have found your blog. And you mention so many names I remember. Do you remember me in the math ed office at UW-Madison? Vere is very ill and with Hospice at home. I'm trying to contact some of his students to call him. He would love to hear from you and anyone else you can contact. His phone number is 608-271-8089. Or his address is 4242 Wanda Place, Madison, WI 53711. I can't tell you how happy I am to reconnect with you. Thanks Chris. Two weeks ago I sent Vere a copy of my World is Open book and a card and a note about Kim Foreman. I will let others know his address and other information. Thanks for sharing it. About Me: I am a former accountant and CPA and a former educational psychologist. I am now adjunct in the School of Informatics at Indiana University and President of CourseShare, LLC (formerly president of SurveyShare). I run around the world training faculty members and instructors to teach online. I also write and edit books related to e-learning and blended learning. See bio and vita. When are old reports, old reports?